The weekly report begins this week with the Nation Wars V voting phase. By following this link, you will be able to vote for the player who will represent your country for Nation Wars V, a tournament opposing the top countries for Starcraft II. 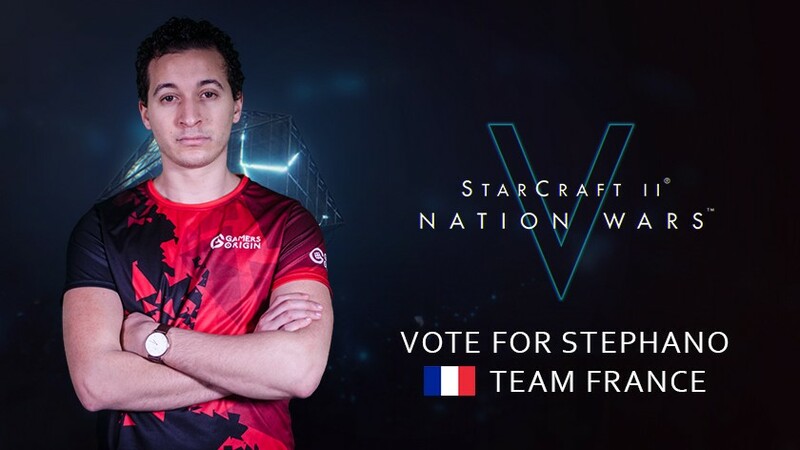 Stephano is one of the French candidates, so send him your cheers and your vote! You can send a new vote every 24 hours on the Nation Wars website. Our favorite Zerg played on Monday the offline qualifier for IEM Katowice after going through the open qualifier. He lost against DnS in the LAN qualifier, then won against bluE and lost against souL. Stephano has no regrets, for the Polish Terran played his very best in the tournament. After half of the rounds of the Obsidius League finals, our PUBG roster is ranked 11th. However, our players can override this result next Tuesday during the second part of the match: they still have an opportunity to climb this ladder. Rafael “Dinep” Nunes is no longer GamersOrigin League of Legends professional lineup coach. GamersOrigin thanks him for everything he brought to the club and all the trophies he helped us to win. Concerning our Hearthstone players, Chinoize won his third Baston in a row, which brings great expectations for the next HCT Tour Stops. Speaking of Hearthstone, Un33d was in Melun for the Gaming WinterFest. The tournament being delayed to Sunday morning due to internet connection issues, it was played in an unexpected format with Swiss rounds and single elimination playoffs, losing a match automatically implying elimination (except with a perfect tie break). Un33d won his first BO5 3 to 1 against Zhym, but failed to Kalàxz, then to Yozek, and was knocked out of the tournament. The Barrière eSport Tour was an opportunity for squads of French eSport personalities to battle on Fortnite in Lille casino. GamersOrigin was represented by Lowelo, Babel and Lutti from O’Rigin HS and by Tonerre, its LoL team captain. He is the one who truly carried the team during this Sunday, but it wasn’t enough to claim the title. 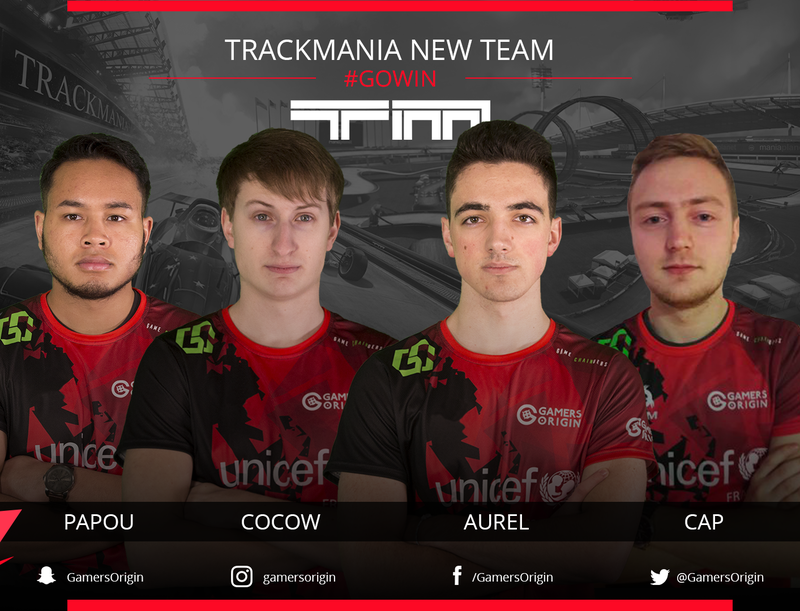 If you follow GamersOrigin news, you must have seen that we recruited a TrackMania team with Papou, Aurel, Cap & Cocow as players and softyB as manager and coach. These excellent riders had an opportunity to show how talented they are during Melun Gaming WinterFest, but technical issues delayed the tournament. Papou finished top 11, Aurel top 8, Cap top 7 and Cocow claimed a top 6 after finals while issues with his controller preventing him to play in regular conditions. The team is now focused on the Pro League playoffs and they will do everything to bring the title home #GOWIN.